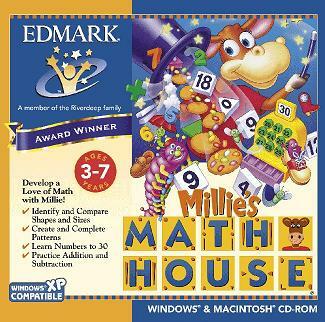 Want To Tell A Friend About Millie's Math House!! Through seven fun-filled activities that feel like play, your child will learn about numbers, counting, addition, subtraction, patterns, problem solving, size, geometric shapes, and more. Count critters, build mouse houses, create crazy-looking bugs, make jellybean cookies for Harley the Horse, and find just the right shoes for Little, Middle, and Big!